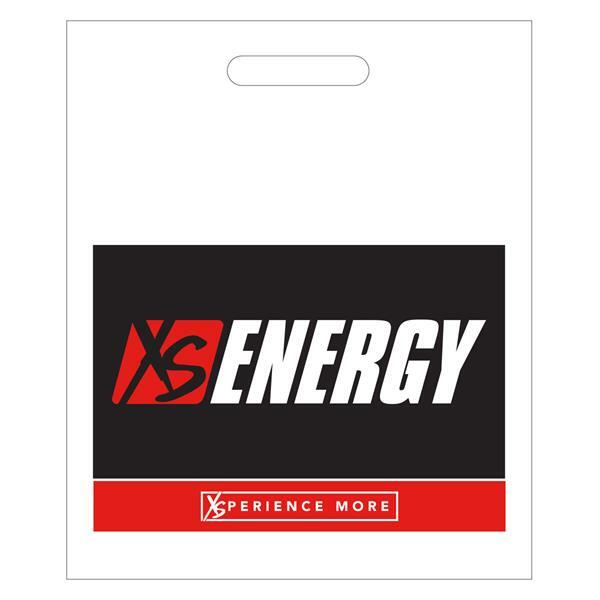 These bags have the XS Energy logo on both sides. Bags are made of heavy .175 gauge custom white plastic bags with a built-in carry handle. We have used these at numerous events and it seems that people have wanted them to be available to the public...so here you go. Bags come in a 15-pak and are useful for many occasions. Get yours today and bag with the best!